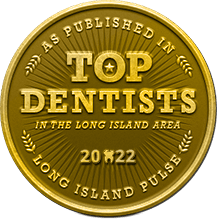 What is the Cost of Dental Implants in Massapequa? Dental implants have fast become the premier way to restore missing teeth around the world, but any internet search about the price will reveal a very WIDE range of numbers. If you’re interested in rebuilding your smile, what is the actual cost of dental implants in Massapequa? 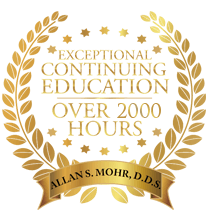 This is a question Dr. Allan Mohr answers every day, and what he tells people is that, in reality, there is no set price for dental implants, and the overall cost of the procedure can vary from person to person depending on a few factors. Today, we are going to breakdown the top three. These numbers include the implant posts, dental restorations, as well as the procedures to place them. 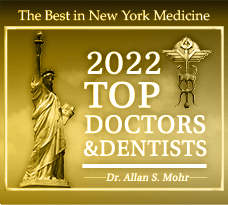 With Dr. Mohr, you’ll be referred to a member of his “dream team” of oral surgeons and periodontists for placement, and then he himself will affix the final restorations to the implants. Before you completely balk at these prices, remember, they are just averages! Many patients who have been missing teeth for a long time have a very thin and weak jawbone that isn’t able to safely support dental implants as is. Fortunately, the jaw can easily be built up and strengthened with a bone grafting procedure. This is a necessary first step towards implants for many patients, but it does add to the overall cost of the procedure. Can you use your insurance to offset the cost of your implants? It really depends on the specific benefits of your plan. Many dental insurance plans consider implants to be a cosmetic procedure and therefore offer no coverage. However, more and more plans are starting to provide implant benefits thanks to their growing popularity. Also, many health insurance plans can be used to help pay for part of the placement procedure as well. When you visit Dr. Mohr for your initial consultation, our team will go over all of your plans and finance options so we can make sure we’re getting the most out of your coverage. 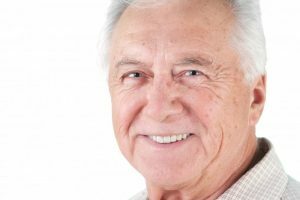 Yes, they do cost more upfront compared to other replacement options such as traditional bridges and dentures, but over the long-term, they are actually the most cost-effective treatment. Why? In addition to looking the most natural and providing the best function of any restoration, dental implants are also incredibly durable, capable of lasting for 30 YEARS or more. Regular bridges and dentures typically need to be completely replaced every 7-10 years, but with implants, they’re usually just a one-time cost for patients, making them a great long-term investment. It’s also important to note that you can get dental implants with us for as little as $199 a month using CareCredit or LendingClub financing. Of course, the best way to figure out what your implant procedure will ultimately cost is to come see Dr. Mohr for a FREE consultation. 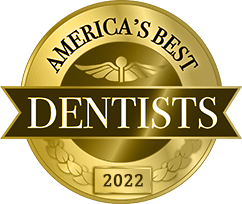 As part of this appointment, our team will work with you to figure out a payment plan so you’re able to restore your smile without breaking your budget. In the end, we’re here to work with you because we believe everyone deserves a complete smile. To schedule your FREE implant consultation, contact us today. by: allanmohr at June 1, 2018 . Comments Off on What is the Cost of Dental Implants in Massapequa?